and have it laser etched onto a marble plaque! Rectangular Marble Plaque 6" x 8"
Send us your favorite image and we'll have it etched onto a marble plaque! 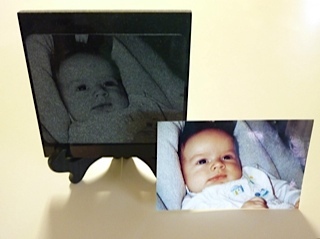 Square Marble Plaque 6" x 6"
Send us your favorite image, and we'll have it etched onto a marble plaque! WITH ANY QUESTIONS, CUSTOM SIZES OR REQUESTS. Hardwood Imagery creates custom engraved images for personal keepsakes and gift giving. 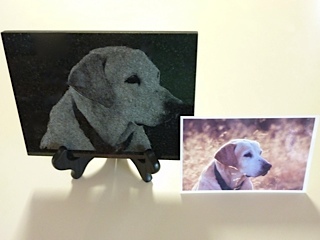 Through the use of computer driven engraving devices, Hardwood Imagery takes any photograph or art image and engraves these images onto marble plaques with stunning results. or use the code number R101-INT.